With upcoming spring election on Tuesday, April 2nd we wanted to provide some voting information to residents in case you had questions.. The positions along with candidates running are listed below. Please Note: All candidates are listed in the order printed on the ballets. 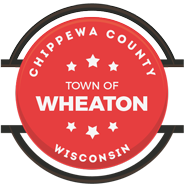 A sample ballet has been posted at the Wheaton Town Hall and Wheaton Recycling Center if interested in viewing ahead of time.